Mark – I’m 59…will be 60 in August. I finished a 30 year military career a few years ago. We lived in a number of countries and states and had a wonderful adventure! After the military I started my own company – Brouker Leadership Solutions – and am able to follow my passion of helping others be the best leaders they can be. I also teach leadership studies at Chapman University. Kris – I’m 57 and worked a number of part time jobs as our family moved around the world. Currently I volunteer to manage the gift store at Naval Hospital San Diego. We have 3 children. Shayna is 28 and is married to Joe (Army officer) – they live in Tampa, Florida. Jake (24) is a Naval Flight Officer and is currently stationed at Naval Air Station Oceana in Virginia. Katherine (20) is a sophomore at Cal Poly in San Luis Obispo and plays libero for their volleyball team. Mark and I have been happily married 34 years. Mark – “Murph”! I love LT Murphy’s story of heroism and patriotism…and the fact that it’s on Memorial Day make it a very special workout. Kris – One that involves pistols. They’re difficult and challenging…and I’m able to see improvement. Mark – Push press. There isn’t a lot of thought that goes into it…that’s a plus for me! Kris – Kipping pull ups. I was never able to do them prior to crossfit. Something we don’t know about you. Mark – I’m a Pharmacist…but haven’t worked in a pharmacy in many years. If by chance you see me working in a pharmacy, I suggest you get your prescription filled at another pharmacy! Kris – I was a federal prison guard in a past life. 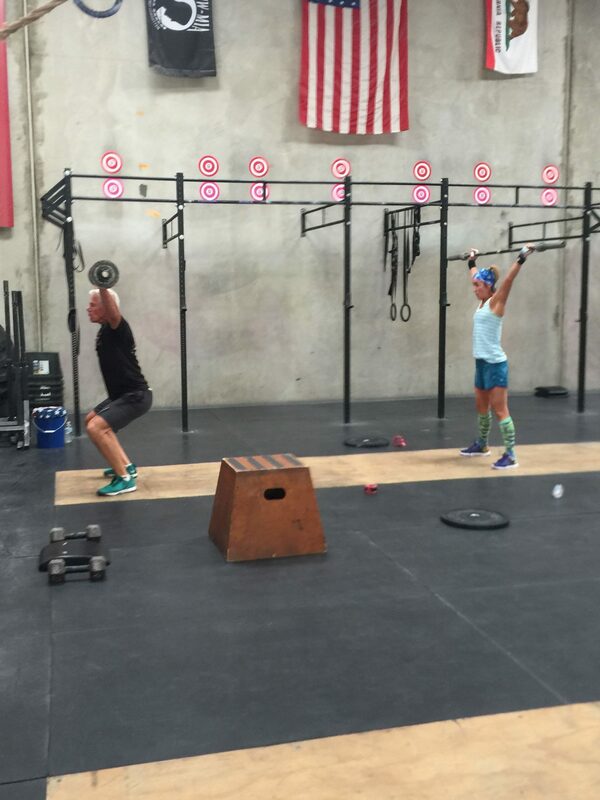 Why crossfit pride? How did you find us? 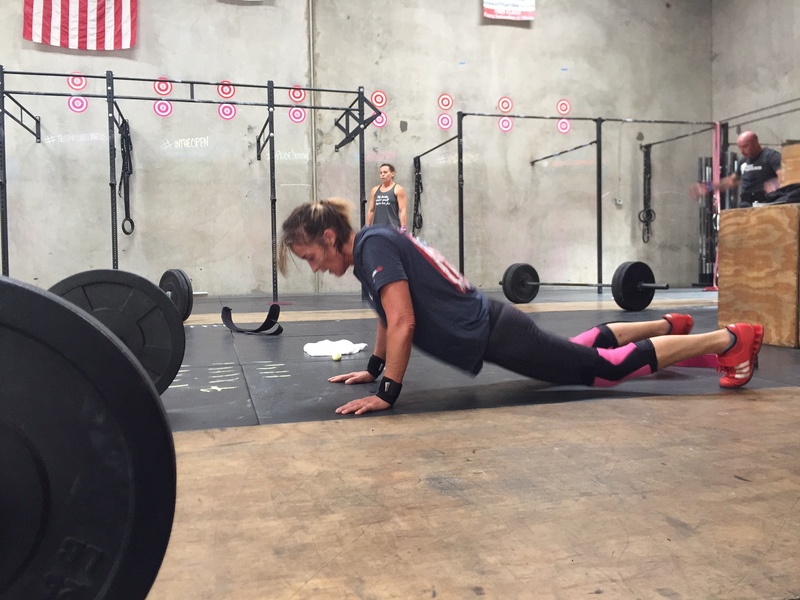 Kris found cross fit pride and immediately enjoyed the camaraderie and family atmosphere. I simply followed Kris! Crossfit related goals you want to accomplish. Mark – 1) Double unders …ugh! 2) I want to finish every workout I start. 3) I want to stay healthy and in shape. Kris– handstand pushups without abmat. Ringdips without a band. Favorite meal, snack or treat. 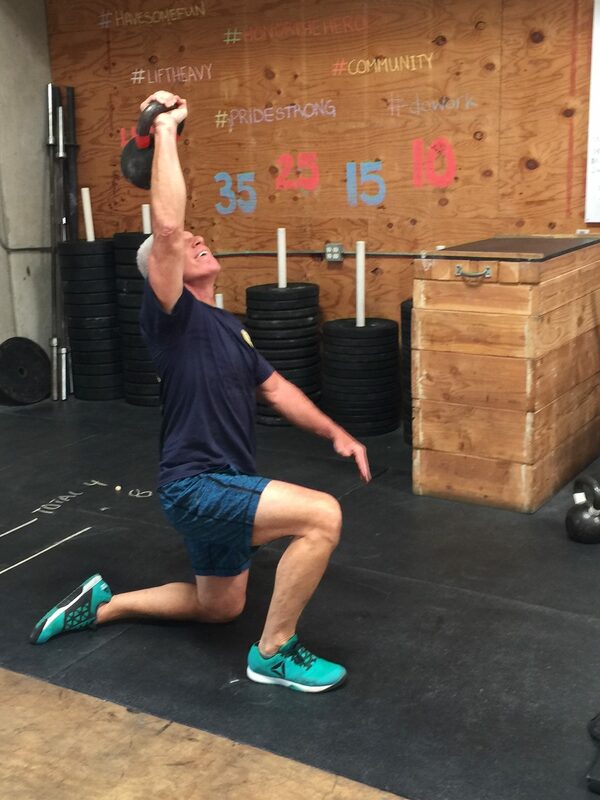 Recover from crossfit workouts…we’re pretty old! Mark– I like to read books on military history…and great leaders.